Life can get pretty complicated. It's best to keep things simple. 1. why are you unhappy? 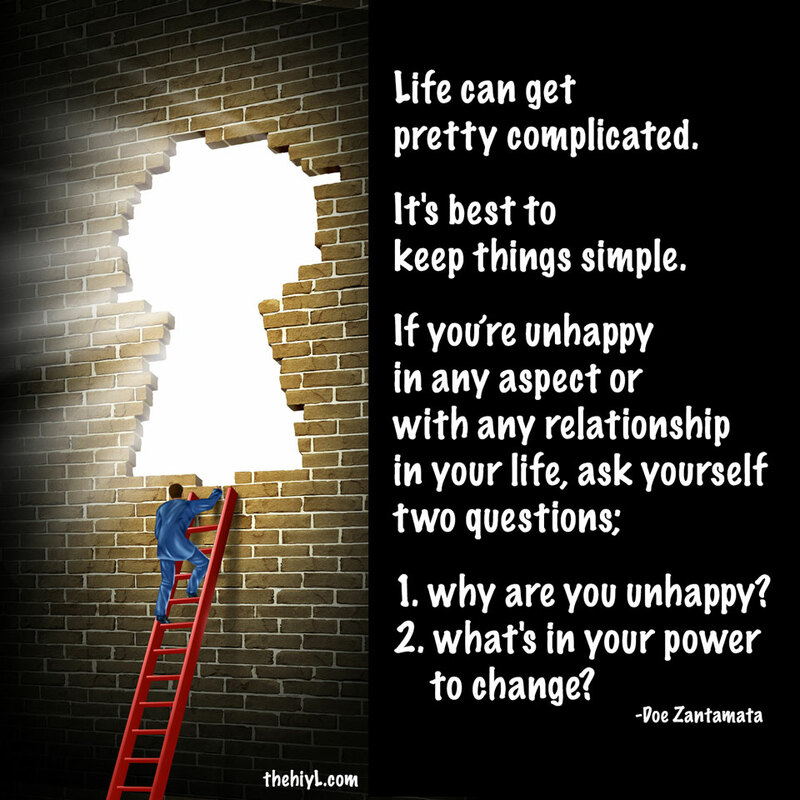 2. what's in your power to change?